Often so or not, I document whatever I am up to in hopes that maybe, just maybe, in some future time, there will be someone who will find these resources that I post up here useful and add it to their own projects. Internet is a vast, vast land of intertwined information wilderness and it's only matter of time when someone does find whatever they are looking for on the blog. The CanSat Leadership Training Program aims to help students, graduates and professors from all over the world learn build simple, affordable space systems. After the program, the trainees have the responsibility to impart that knowledge to their respective countries so that such training can be localized. I, with Mr. Rakesh Chandra Prajapati (formerly worked on SwissCube), represented Nepal in this year's training. As part of my principle to open access to information, I have documented my final presentation on this blog post. Some slides are self explanatory, some are not, and I have taken the liberty to explain the slides that need explaining. 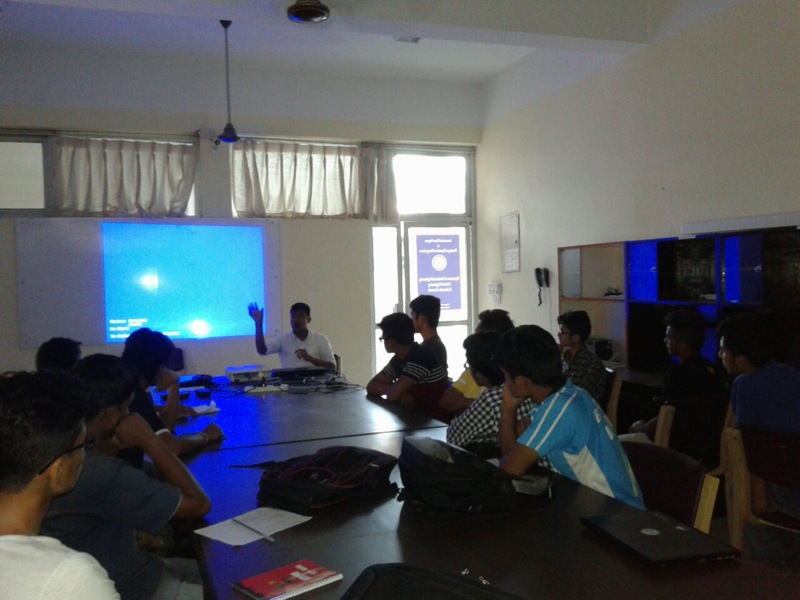 Participants were allowed to choose among 4 sensors to place them on the User Board integrated on the i-CanSat. Since graduating from Seoul National University, my design philosophy has changed from a complex system design to simplistic, minimalist design because simple systems are easier to work with and have a higher chance of working. In most cases, engineers make the mistake of building a complicated, intricate, tightly coupled designs that often lead to system failure. As my main motive was to make the i-CanSat receive data, I wanted to play around with less sensors to guarantee mission success. There were four sensors subdivided into two; two digital, I2C based sensors and two analog sensors. Between the two I2C sensors, I chose to use the temperature sensor because I wanted to check how the temperature changes from the nominal when it's launched. For analog, I thought the accelerometer would be a very interesting sensor to work with instead of the gyro as data could be further processed to calculate velocity, given time permitted. The above slide shows the trajectory that the i-CanSat took during the launch and eventual fall. Although the 2D data plot seems to be correct, the 3D data shows that the i-CanSat actually gained altitude after separation from the rocket. Which makes no sense. The maximum altitude that the i-CanSat was able to gain was about 60m, that is according to the GPS data. I did not have a barometer in place, so I cannot cross check this information. The point is, GPS is shady when it comes to altitude measurements. One other i-CanSat's GPS showed that the satellite was underneath the ground which goes to show how accurate the measurements really are. 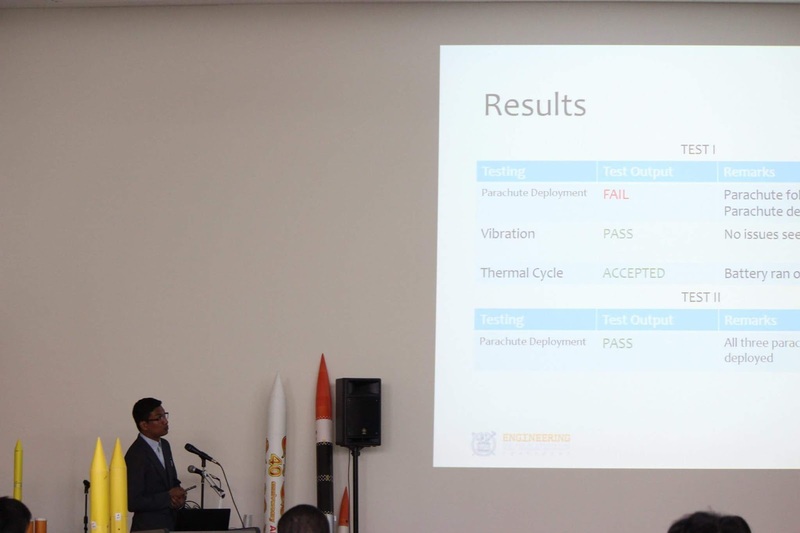 I will have to make a separate blog for best practices for accelerometer sensors but for now, as the slide mentions, the i-CanSat's launch data showed that satellite's orientation was tilted from the get-go. What I mean by that is that, if I had placed the satellite on a flat table, the reading should have been close to 0g for X and Y axis and 1g for Z axis. However, that was not the case. On the slide have mentioned why such readings persisted. This is where it get's really interesting. The accelerometer data shows exactly the time placed the i-CanSat on the rocket on "Launch Prep" and there are clear indications of where the rocket launched, the satellite separated with the CanSat and when the parachute of the CanSat deployed. Very cool. The next step would be to take these measurements and turn them into velocity, but that is for later. The temperature readings from i-CanSat showed that there was an exponential rise during launch. While digging deeper, I can see that the exact moment when the rocket and i-CanSat separated, the temperature went up. That is because the satellite is basically inside a transparent bottle and temperature inside rose under direct sunlight. The increase in temperature is due the greenhouse effect where the trapped air gets heated and cannot escape. I will skip the conclusion part as it's relevant to the program itself. 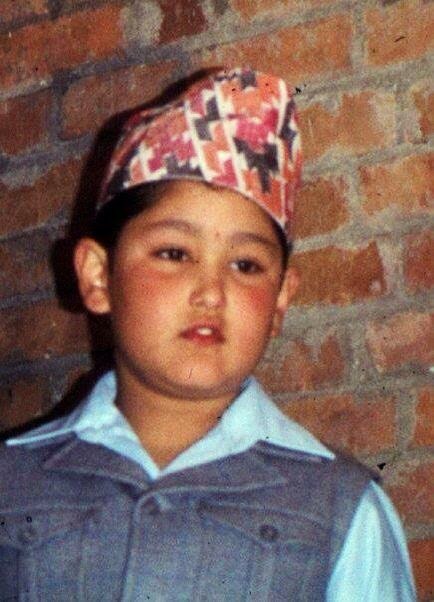 I have already mentioned what I think about Nepal and space. If you haven't read about it, it's [HERE]. Although CLTP training is primarily focused on helping countries like Nepal launch their own space initiatives, I strongly feel Nepalese in general have to bite what they can only chew. CanSats are a great way to learn embedded system and they should be learned and applied to more pragmatic projects. One possible trajectory I see is to use KU Robotic's already functional multicopter for smarter medical payload delivery. I see that as a real possibility. Well, there you go. Hopefully, I will be able to push on what I have promised to deliver. Otherwise credibility will be an issue.